Versatile golf trophy suitable for both mens and ladies golf awards, and for all age groups. 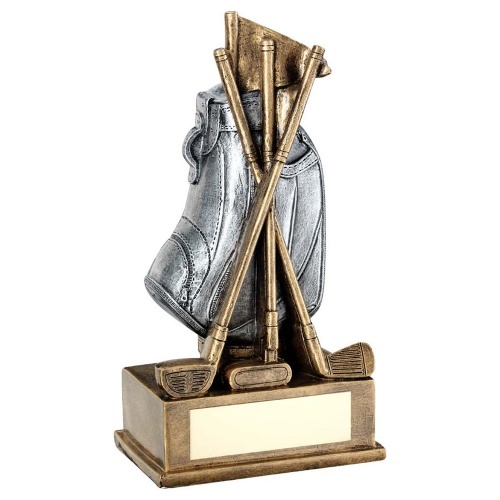 Crafted in resin with an antique bronze and silver colour finish, they are available in three size options and feature a golf bag with three clubs set on a base with engraving plate. Offered with text and/or logo engraving options for the base plaque.